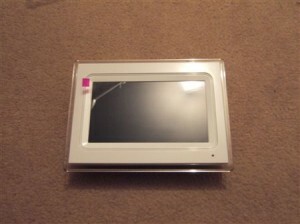 Digital photo frames have become increasingly popular over the past few years, so I thought I’d give one a closer look. The Cibox C107 is the one I’ve chosen to review as it seems to be quite representative of the field. 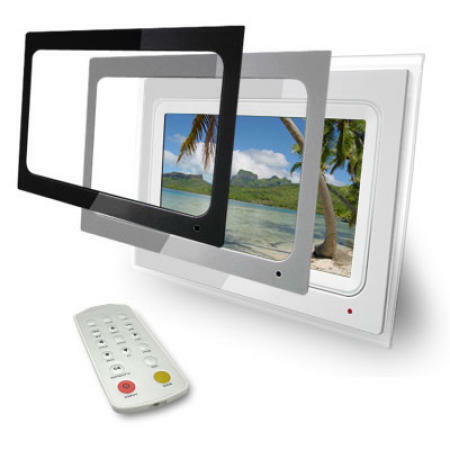 Indeed, looking at the digital photo frame market, it seems they’ve all become commodities with very little to choose between them apart from price. The Cibox C107 offers the usual array of features: 7″ TFT screen, SD/MMX/XD/MS card support, and the ability to playback pics up to 6 megapixels in size. It also offers a few extra bits and pieces, including music playback, video playback, alarm and calendar.